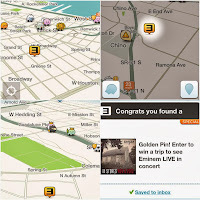 In a previous post I mentioned Eminem's partnership with GPS navigation app Waze for the release of his latest studio effort Marshall Mathers LP 2. At the time, there weren't any specifics about how exactly the plan would unfold, but yesterday some details were announced. Fans have to obviously first download the app, and then they have to keep an eye out for Eminem's pins - marked with Shady's backwards "E". The white pins lead to an entry form to win one of 100 Beats By Dre Pill portable speakers. Gold pins are the gateway to enter to win an all-expenses paid trip to a secret Eminem concert. The location-linked geo-targeting approach, employed by Foursquare and Twitter, among others, has seen a huge uprise now that smartphones, tablets and ultrabooks are rapidly replacing PCs. I applaud interactivity. 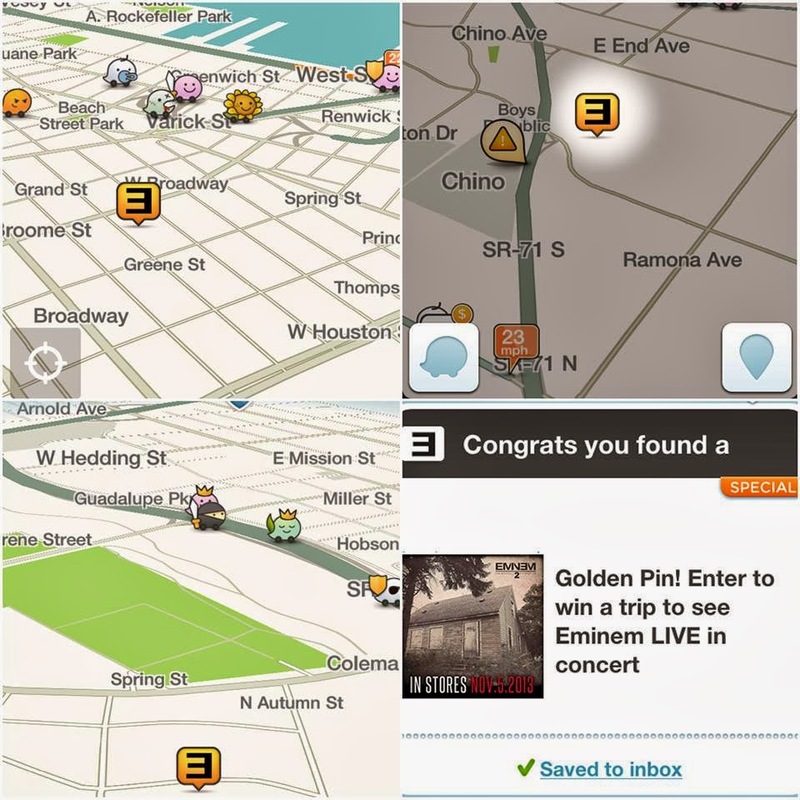 And I like that Interscope Records is trying something innovative to promote Eminem's new album, but I'm not entirely convinced that Google-owned Waze is really the way to go, because basically Waze encourages people to use their phones while driving. And that is never a good thing.